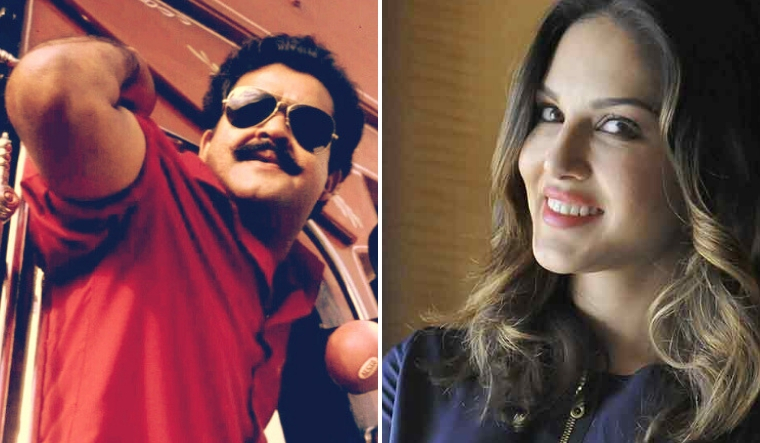 Sunny Leone to feature in sequel to Mohanlal's cult classic 'Spadikam'? Malayalam superstar Mohanlal's action entertainer Spadikam is an all-time blockbuster. His character Aadu Thoma and dialogues from the film have attained a cult status in Mollywood. The film is back in the news now with director Biju J. Kattackal recently announcing his plans to make a sequel to the cult classic Spadikam. The young filmmaker also unveiled a first look poster featuring an image of the iconic Ray-Ban shades from the film. In his Facebook post, the director shared that the movie will feature the story of Aadu Thoma's son Irumban Sunny, essayed by a 'young superstar'. Sunny Leone, too, would play a lead role he wrote. Fans on social media are, however, divided on the idea of a sequel. While some social media users hailed the 'novel idea,' many criticised the director alleging that Biju J Kattackal was trying to destroy the cult status of the yesteryear film helmed by Bhadran. Meanwhile, the writer and director of the evergreen movie, Bhadran, shared a sarcastic post saying a sequel won't happen. “There can be only one Spadikam and that has happened already,” he wrote.